There is so much history here. You can feel it. 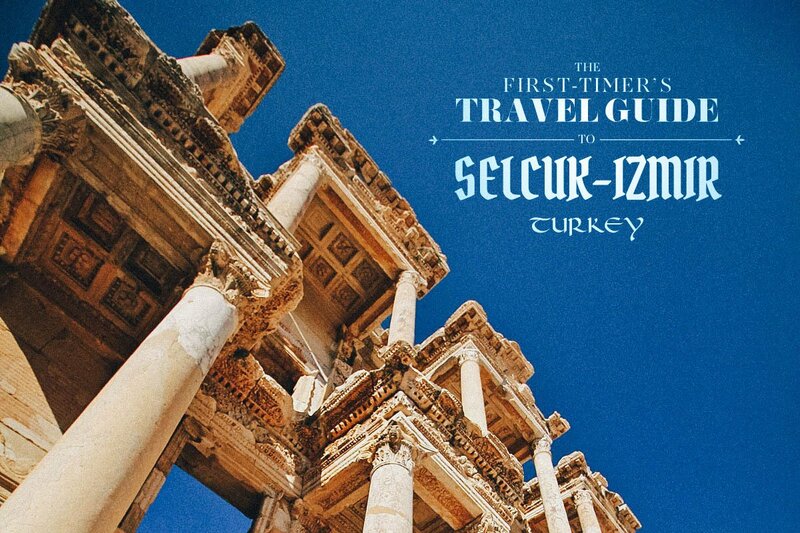 Like any visitor to Ephesus, the Selçuk leg of our Turkey trip was all about ancient history. 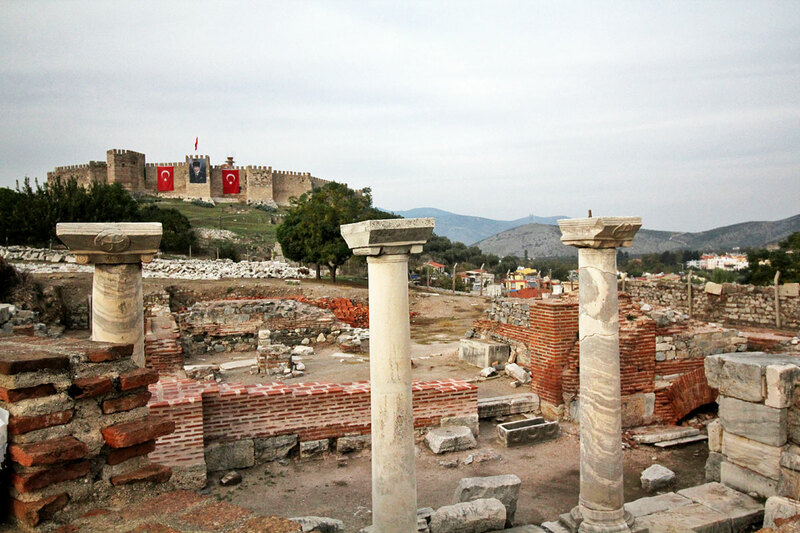 Centuries of it in fact — from classical Greece to the Roman empire to the Byzantine and Turkish eras. 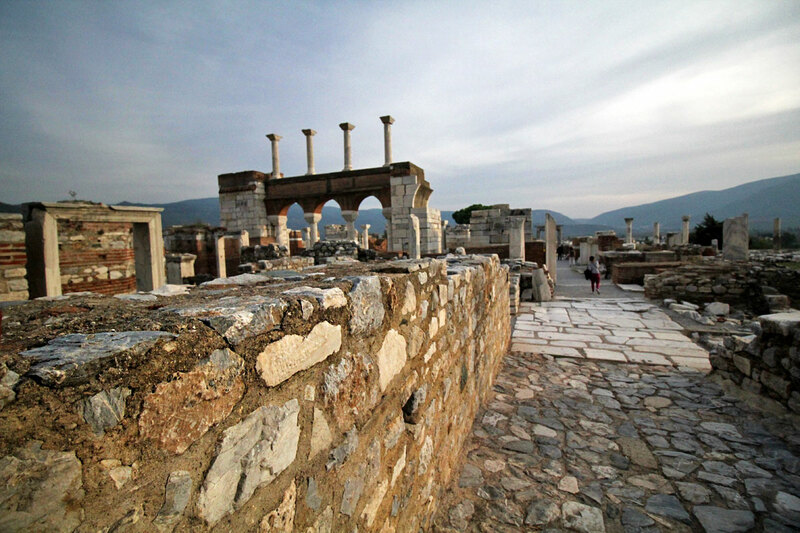 At some point, Ephesus was the Mediterranean’s main commercial center as well as being a hub for early Christianity. Being the ignorant travelers that we are, we didn’t know any of this before we arrived but we were eager to learn. Visiting these two buildings, monuments to faith divided by centuries but situated just minutes apart on Ayasuluk hill, was a great way to start. 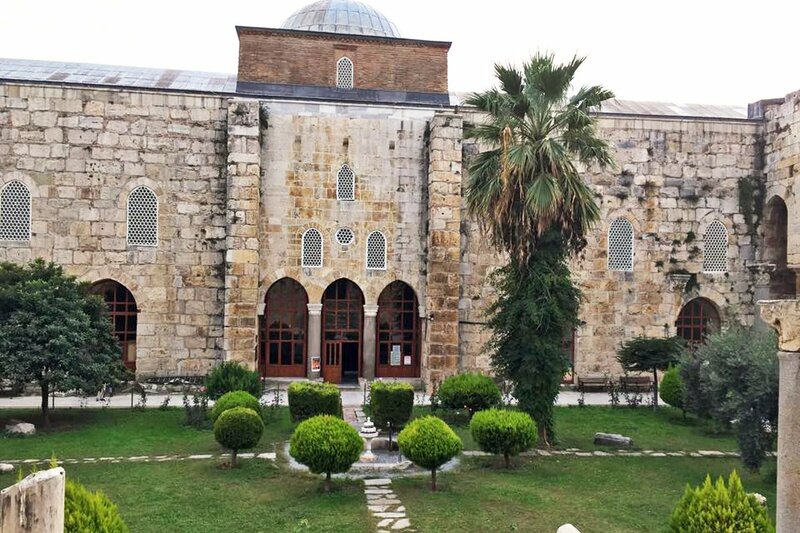 Built in 1374-75, İsabey Mosque is one of the oldest and most impressive surviving examples of Anatolyan beylik architecture. Beyliks were small Turkish principalities goverened by a bey, or Turkish chieftain, that were formed at the end of the 11th century. Inside the courtyard. The prayer room is through those doors. Entrance to the mosque is free. What makes İsabey Mosque unique is its asymmetrical design. 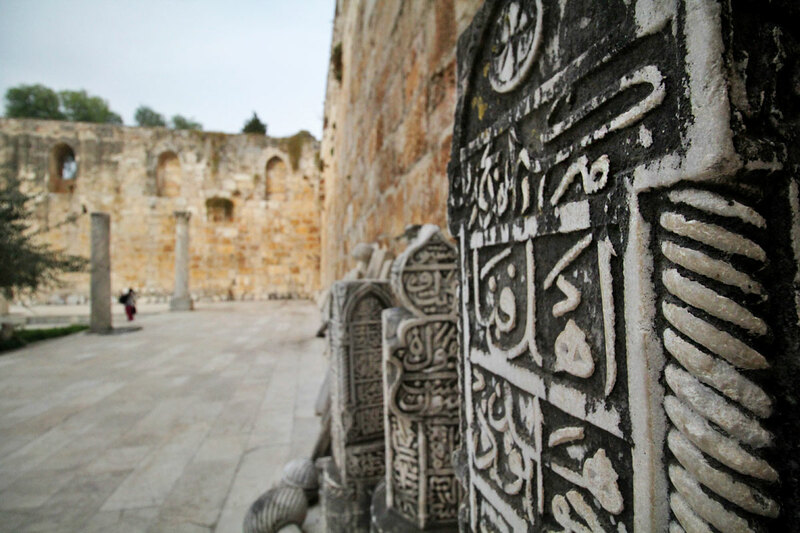 Unlike mosques built in the traditional style, the location of its windows, doors, and domes aren’t uniform. 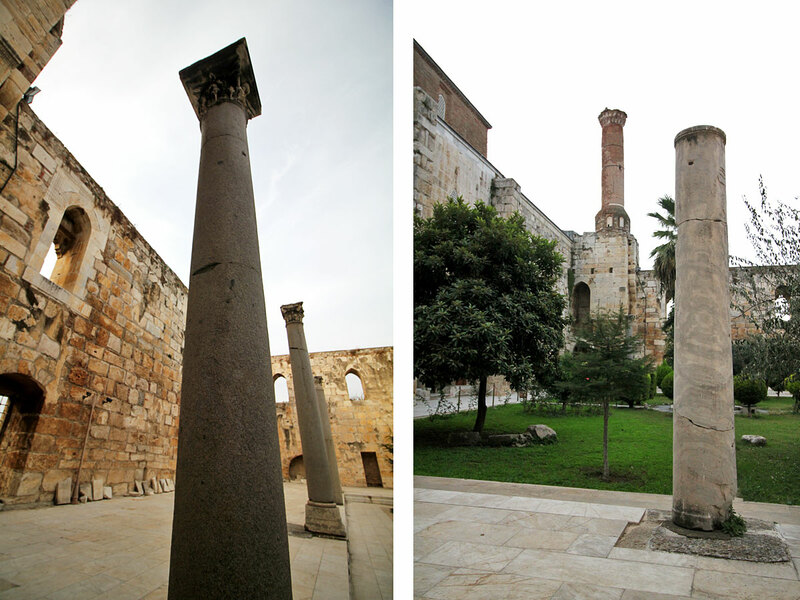 Interestingly, these columns inside the mosque aren’t from its original construction. 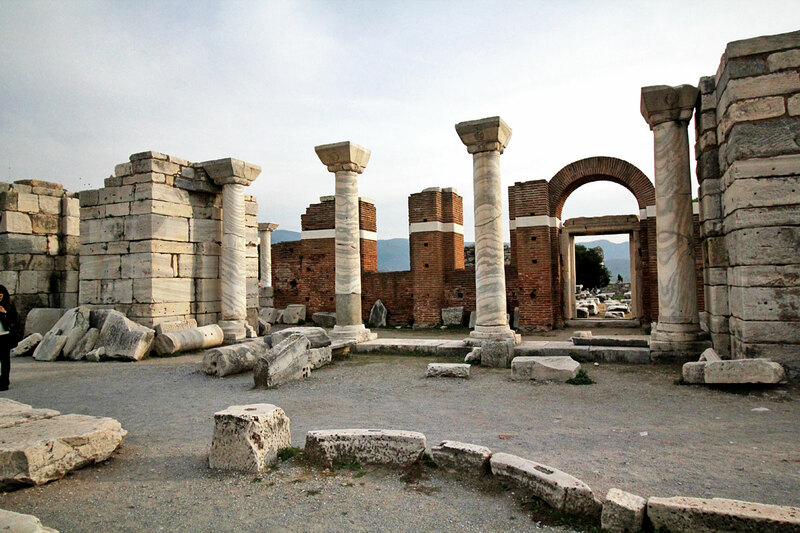 They’re from earlier ruins in Ephesus and the Temple of Artemis that were incorporated into the building. 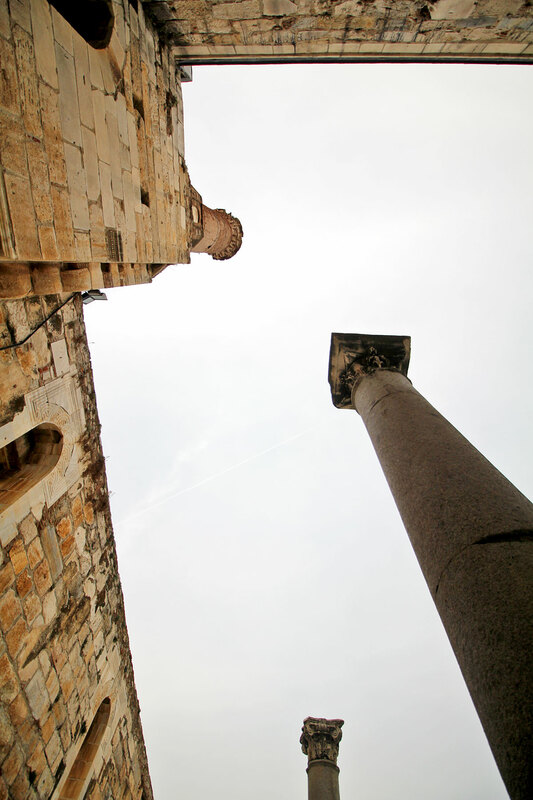 There are twelve of these columns around the courtyard. 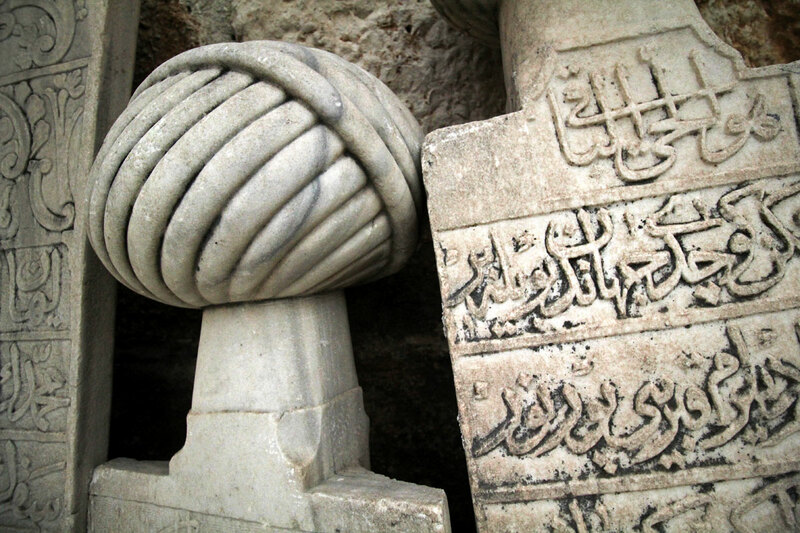 Marble carved with geometric designs and calligraphy inscriptions. “Ali b. Mushaimish Dımışklıoğlu was here.” Just kidding. It doesn’t say that, but Ali b. Mushaimish Dımışklıoğlu was the architect who built the mosque in honor of Hızıroğlu İsa Bey, who at the time was the ruler of the Beylik of Aydin. 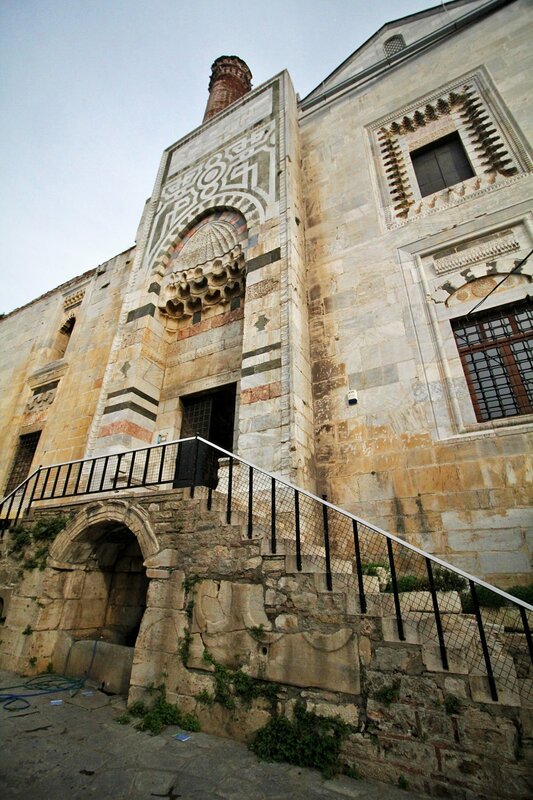 Though open to tourists, İsabey Mosque is still a functioning mosque so please be mindful of this when you visit. Afternoon prayer started while we were admiring the courtyard so we refrained from entering the prayer room. İsabey Mosque is just down the hill from the Basilica of St. John. It’s best to ask anyone if you’re unsure where it is. 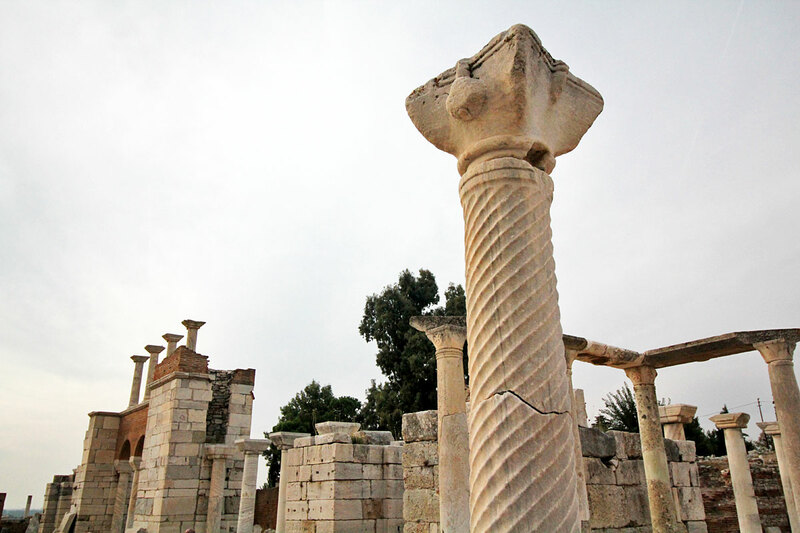 On these ruins once stood a marvelous basilica built in memory of John the evangelist by Emperor Justinian in the 6th century. 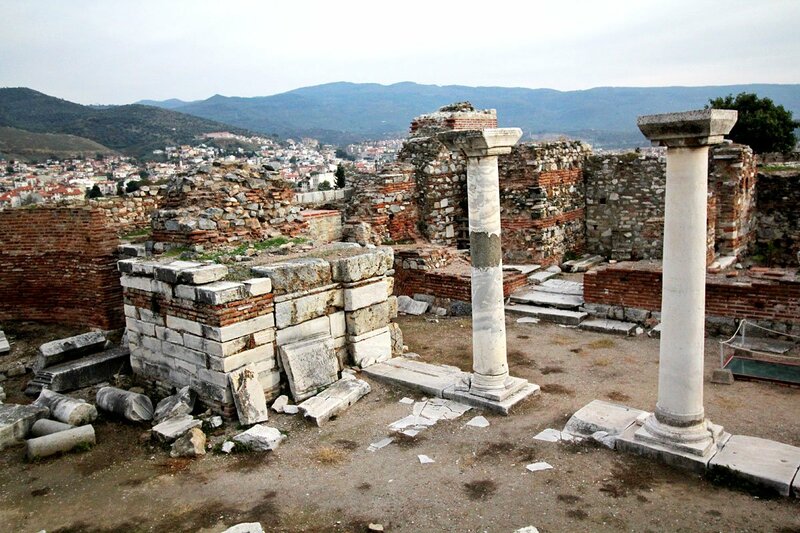 It is widely believed that St. John had spent the last years of his life in the region around Ephesus and is buried here on Ayasuluk Hill. 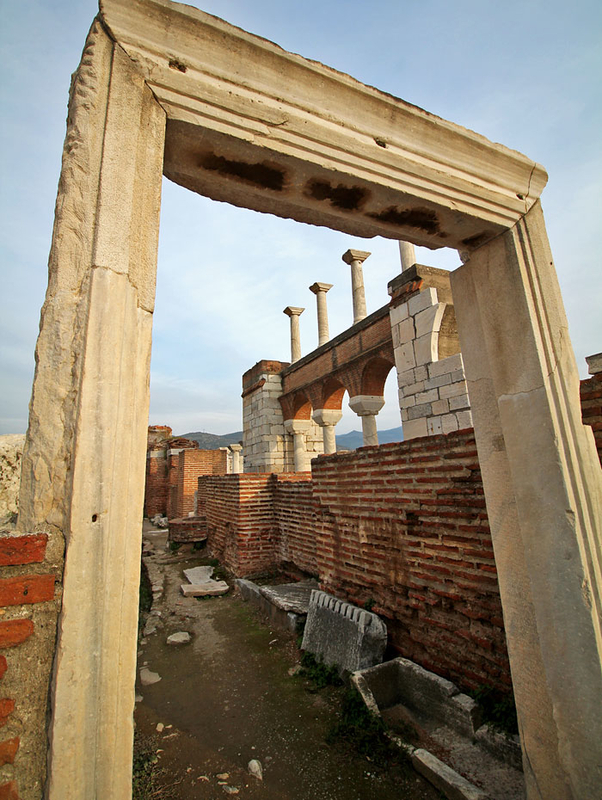 Entrance to the basilica is 10TL. The basilica wasn’t always so grand. 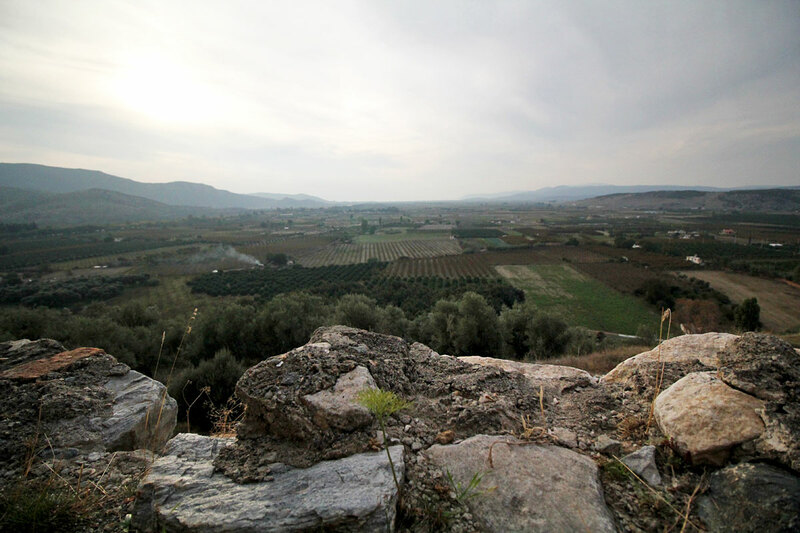 Initially, a more modest chapel was erected over his grave in the 4th century, 300 years after his death. It was only when Emperor Justinian deemed that the tomb was indeed John’s was a magnificient church built in honor of the saint. 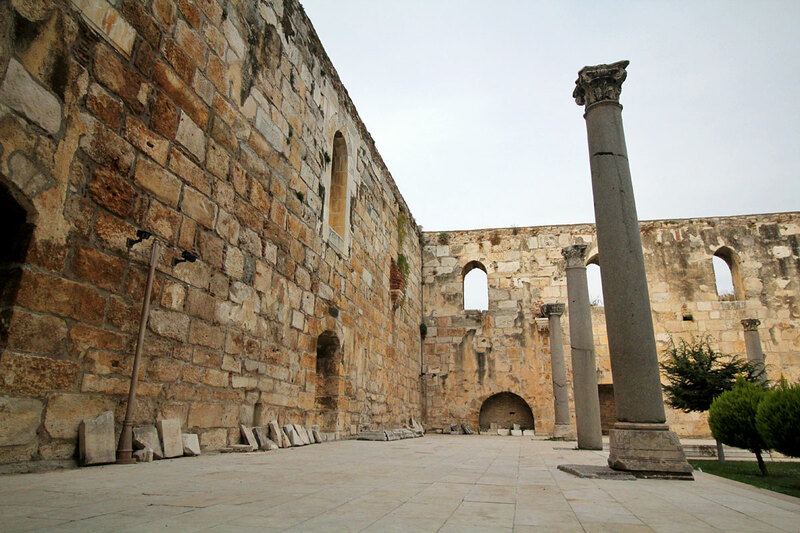 In its heyday, the monumental basilica was in the shape of a cross and covered with six massive domes. What a sight it must have been. Ayasuluk Castle in the distance. More on that later. 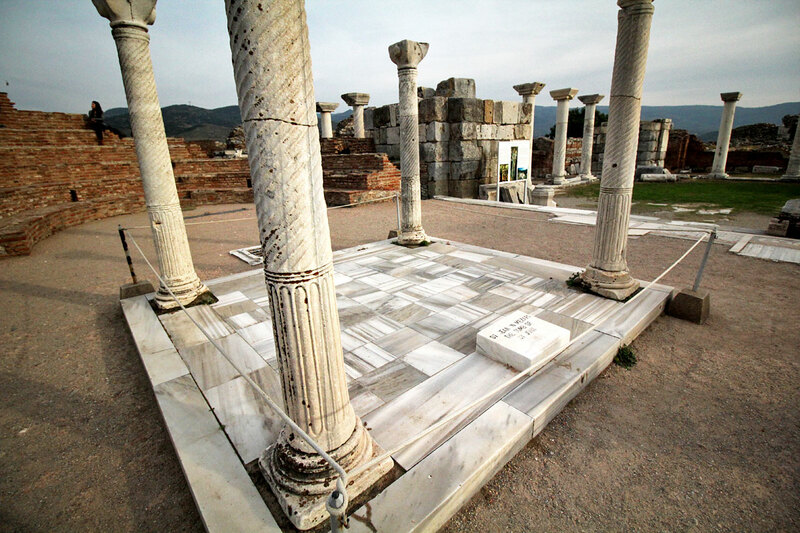 with the decline of Ephesus and successive Arab raids, the basilica fell into ruins until the Aydinids converted it into a mosque in 1330. 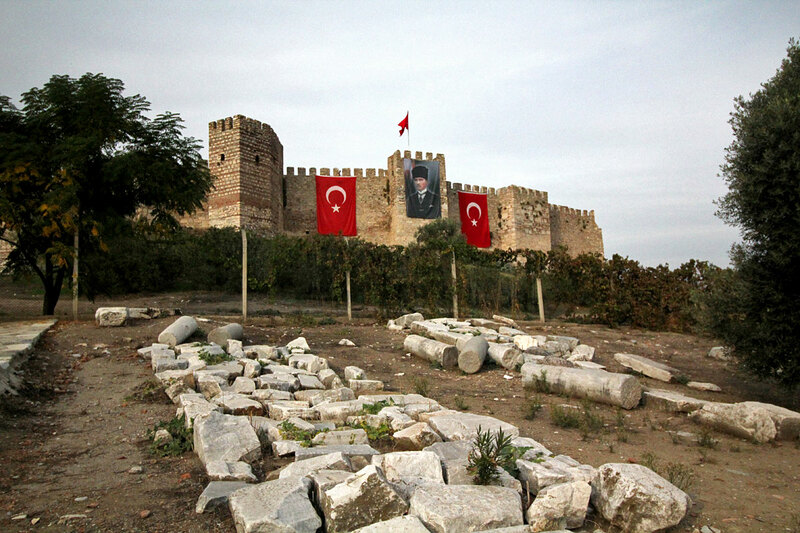 Devastated by an earthquake in the 14th century, the building was completely destroyed in 1402 by Tamerlane’s Mongol army. The actual tomb of St. John. Raised by two steps and covered with marble, the tomb was once under the central dome of the basilica and supported by four corner columns. 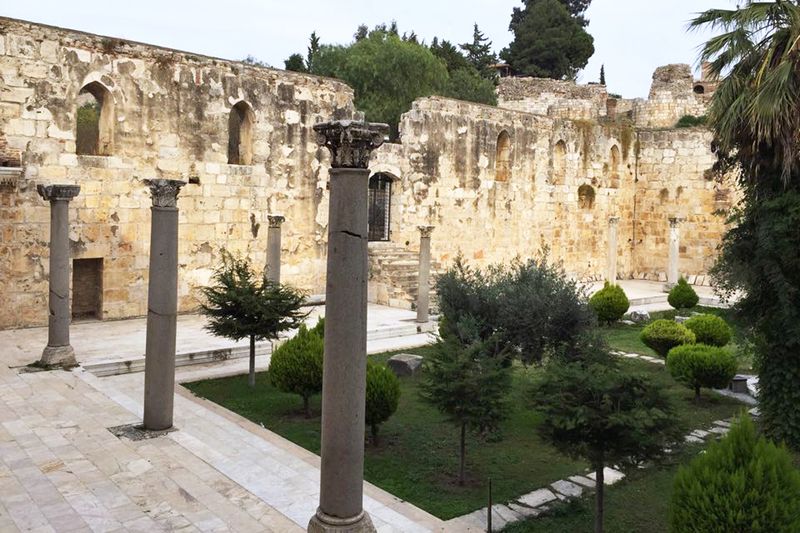 I didn’t see them but the columns in the courtyard are said to bear the monograms of Emperor Justinian and his wife Theodora. 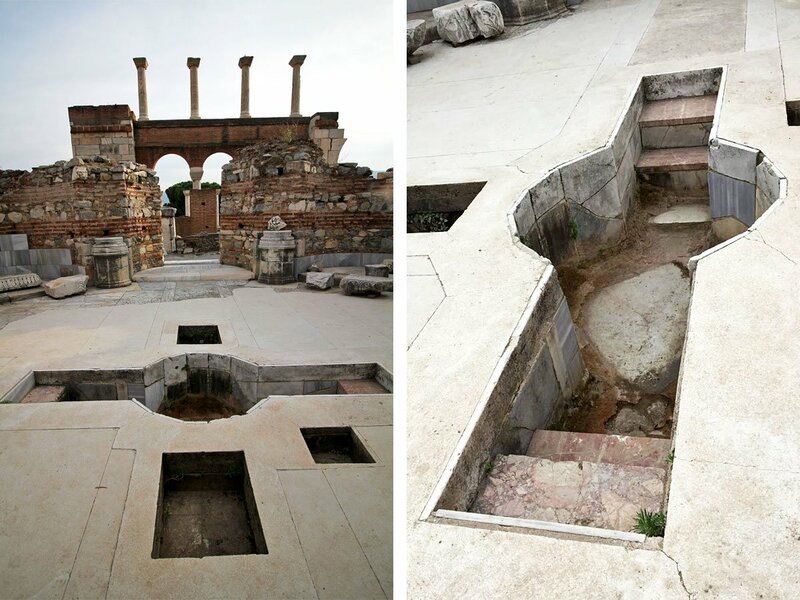 Constructed in the 5th century, here’s the keyhole-shaped baptistery and central pool. Judging from its size, its likely that adult baptisms were performed here. 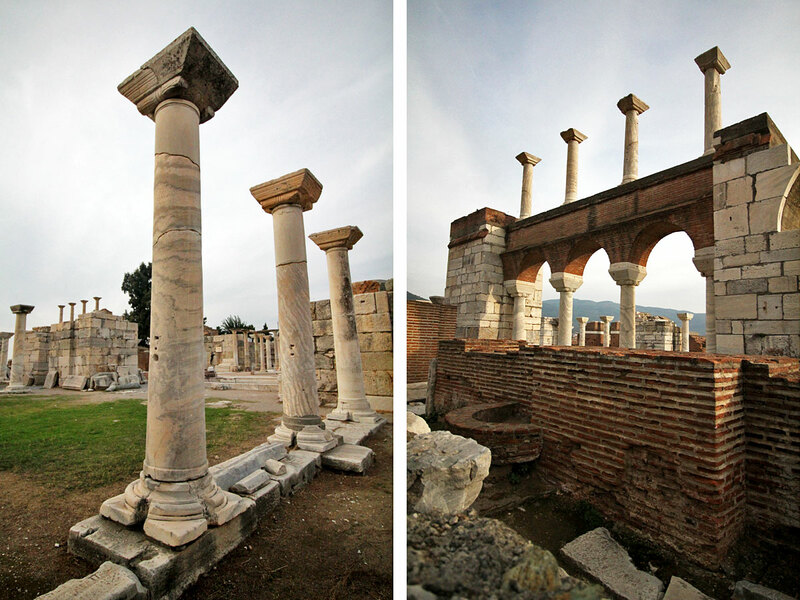 Fully restored, this basilica would be the seventh largest in the world. 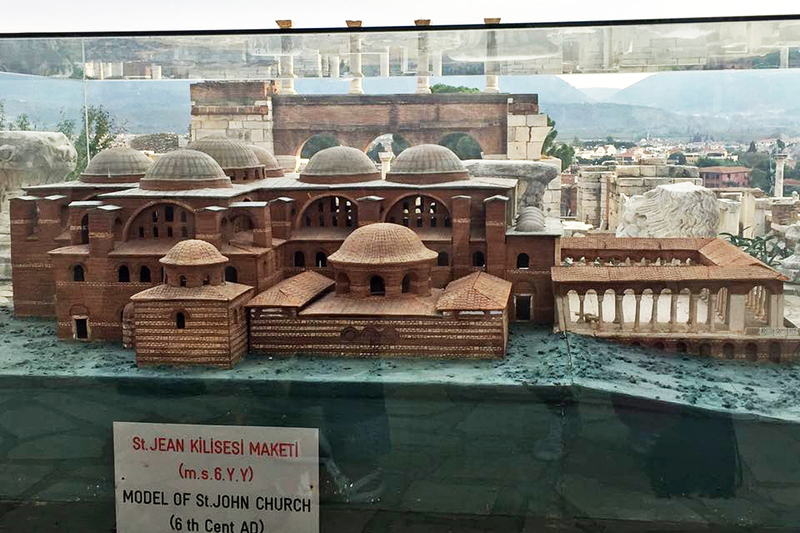 Here’s a scale model of the building. Beautiful right? Making our way up the hill towards Ayasuluk Castle. 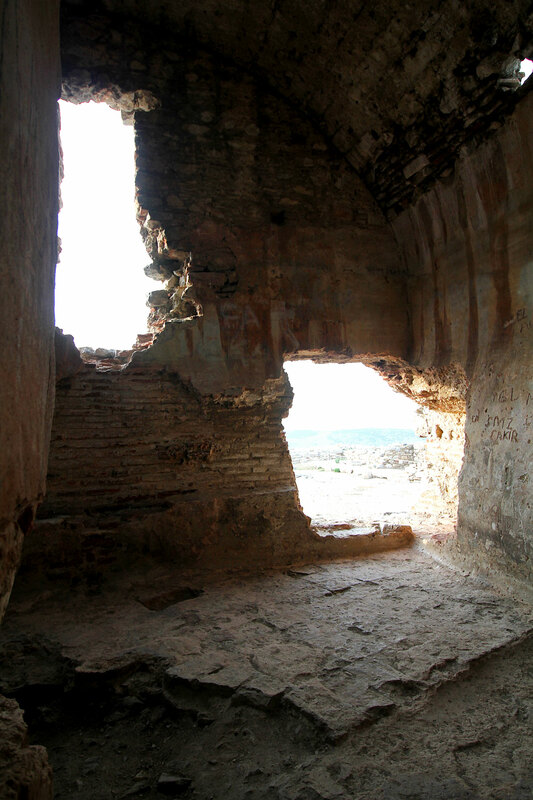 Under ongoing restoration, entrance to the castle is included in the basilica fee (prices at the bottom of this post). Built in the 5th century, much of Ayasuluk Castle lies in ruin but you can find cisterns, a chapel, and a small mosque inside. 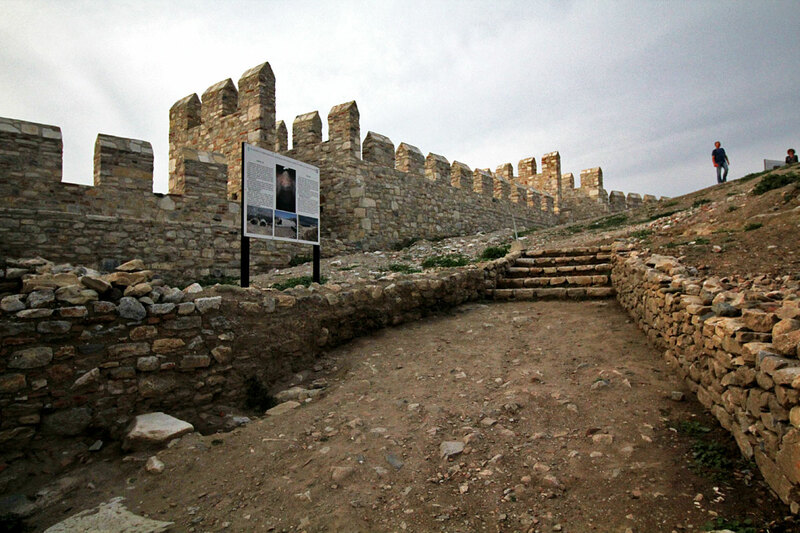 Though open to the public, many of the paths inside the castle are still rocky and uneven, making passage a little challenging. Wear proper footwear. Basilica cistern at the apex of Ayasuluk hill. 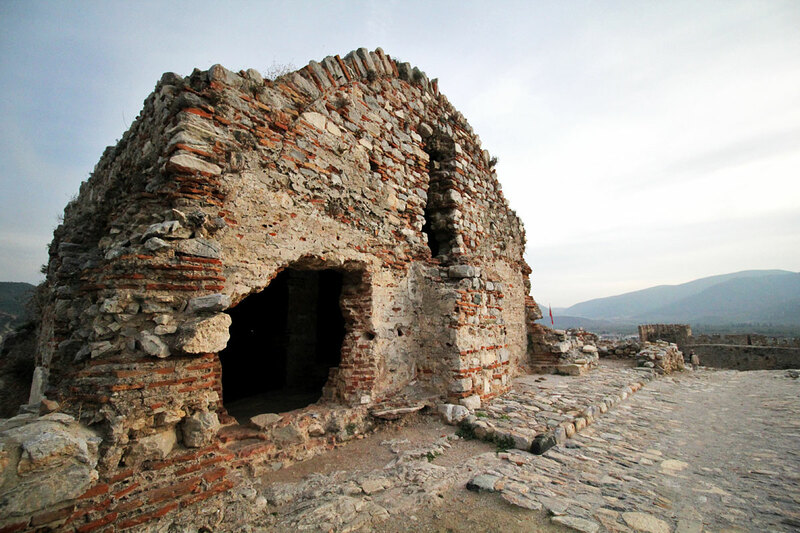 This unassuming structure carries special signifiance because it is believed to be the very place where St. John wrote his gospel. Inside the cistern. To stand in the same place where St. John spent much of his time praying and writing his gospel left me speechless and humbled. I’m not a religious man, but you don’t have to be to appreciate the significance of a place like this. 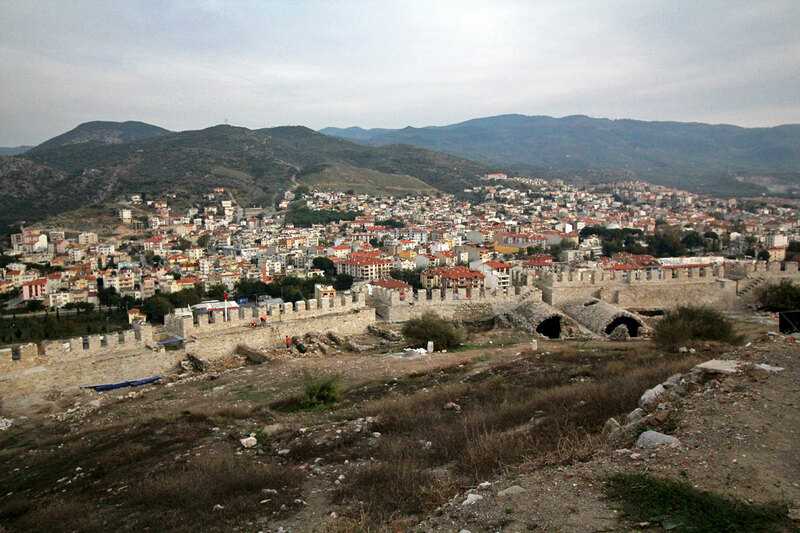 View of Selçuk atop Ayasuluk hill. Pretty awesome eh? The sun setting over Selçuk. 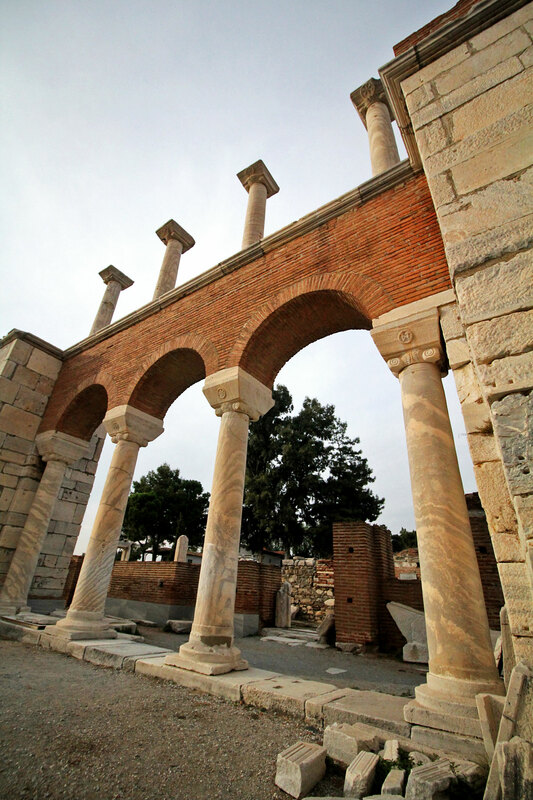 Situated on Ayasuluk Hill, the Basilica of St. John is one of the most popular attractions in Selçuk so you can’t miss it. You can ask anyone if you’re unsure where it is.